The CPNS Program for Science and Human Values explores the influence of modern science upon the formation and evolution of today’s dominant worldviews--those increasingly potent and increasingly conflicted Weltanschauungen--paradigms depicting the universe and humanity's relation to it. Rapid changes in science and technology have dramatically changed these often competing values landscapes in the past few decades. The contribution of the natural sciences to the formation of modern worldviews as integrative frameworks of understanding is often received passively and absorbed with little critical analysis. Indeed, the physical sciences and the latest technologies borne of them have today become so highly formalized and proprietary that it is often the case that even professional scientists have only a vague understanding of fundamental scientific theories beyond the scope of their own specialties. Thus, as our worldview becomes more and more centered upon science and technology, the average person is strangely expected to understand less and less about that worldview. Modern physics and cosmology, in particular, entail increasingly specialized and increasingly abstract conceptual formalisms that are now simply stipulated to exceed the comprehension of most people, including the college educated. As a result, the dissemination of quantum mechanics and cosmology into the popular market, though vehicles like The Science Channel and non-academic books written for popular audiences--often incorporated into high school and even college humanities courses by professors with no capacity for critical evaluation of the material--give modern physics and cosmology the medieval character of fundamental truths revealed via authority, rather than truths that can be reasoned by the common person. Indeed, one could argue that this increasingly accepted view of modern science is, at its essence, an historical regression from the Enlightenment theme of autonomy via reason, so celebrated by modern civilization, back to the medieval theme of heteronomy via authoritative revelation. 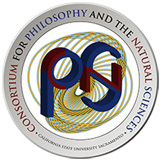 With the goal of helping to counter this tendency, CPNS will reach out to broad audiences and suggest practical implications and applications of our research by which one can identify, analyze, and loosen the shackles of those features of fundamental physical theories that dominate primarily through uncritical inheritance. Starting spring 2015, the CPNS Program for Science and Human Values, in collaboration with U.C. Berkeley - GTU, will be offering graduate courses that explore the history and philosophy of religion and modern science. The first of these courses "Orthodox Christianity and Modern Science: A Dialogue with the Western Scholastic Tradition" will be offered spring 2015, taught by CPNS Director Michael Epperson. This course explores the nature of the relationship between modern science and Orthodox Christian theology, with particular emphasis given to recent advances in fundamental physics and cosmology. In dialogue with the western scholastic tradition, we will not only engage in comparison and contrast; we will also examine the extent to which both traditions can be correlated as mutually supportive, complementary approaches that together enable unique solutions to problems not easily attended to by either tradition exclusively. Despite the increasing breadth and depth of scholarship exploring an integrative relationship of Christian theology and modern science, the waters remain stubbornly turbulent. Whatever the particular countercurrent—political, theological, ideological, scientistic, or some combination of these—the trajectories leading to fundamental disengagement can all be traced back to a common first principle: The dualistic separation of faith and reason. The western scholastic tradition has carefully defined specific bridges spanning this dualism, and in recent history these bridges have served as a foundation for the Roman Catholic integration of science and Christian theology. By contrast, the Orthodox theological tradition has characterized faith and reason not as a metaphysical dualism of mutual exclusion determined by the particular object of experience (Divine or Natural), but rather as a duality of mutual implication in every act of experience—i.e., a duality without reduction to dualism. This course will explore the ways in which the Orthodox understanding of the relationship between faith and reason, and its unique emphasis of experience in the integration of faith and reason, can be fruitfully applied to the current science and religion debate in complementary relation to the western scholastic approach—particularly with respect to the unique problems raised by modern physics and cosmology. new course offerings in the Department of History, a Student Research Initiative (see below), visiting scholars, graduate student liaisons at Stanford and San Francisco State, the Ultimate Questions Student Discussion Group, and more.